Dear readers, dreamers and light seekers: Before pressing the follow button, take a minute and read the official notification bellow my lovely picture. Yes the fine prints on the right of your screen. I do not want you to be disappointed one of these days. Nothing and No-one is sacred to me. 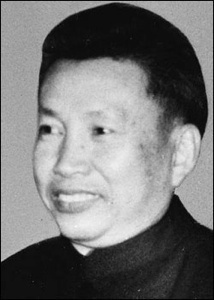 I have created a petition to establish an International Criminal prize named after our “beloved” Pol Pot, in an effort to counter balance The Nobel Peace prize. Take a look and sign it. 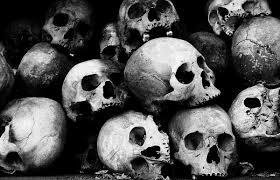 Benjamin Netanyahu shall be the first to hold this title: “Pol Pot Prize winner” for 2014. Not so long ago Palestine saved the Israeli people from the Pharaoh’s wrath, protected them, gave them refuge and hope. Not so long ago Palestine and North Africa saved the Israeli people from Isabella’s zealousness, protected them, gave them refuge and hope. Not so long ago Palestine saved The Israeli people from Adolf’s cleansing, protected them, gave them refuge and hope. After a history of repayment in “kind” who will save the Israelis next time around. And be sure there will be a next time. Maybe the Pharaoh, Al- Hakim, Isabella and so many were right. Or maybe Palestine will save the Israeli people one time more from their morbid self. Save yourself Israelis, forgo Israel and proclaim a Palestinian Free State where all coexist. It’s your last hope before someone, somehow, sooner not later, marches through the meadows where your temples and spiritless bodies are buried. In short and simple words; become Palestinians.